Some people like dogs, while others are cat people; but it’s a rare occurrence to see people, Nigerians especially, keeping wild animals as house pets. 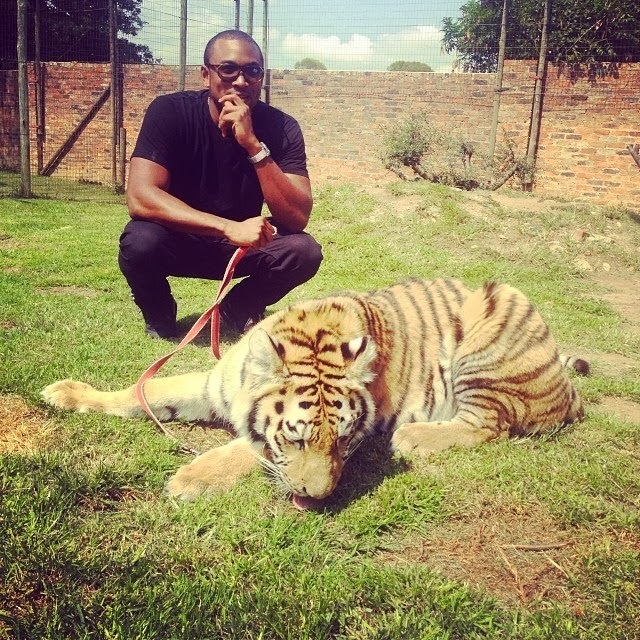 Ace Nigerian video director — Sesan Ogunro, who just lost his dad months back; has shown off his king-sized pet tiger. The famous video director shared the photo on his Twitter page and called it his new pet.